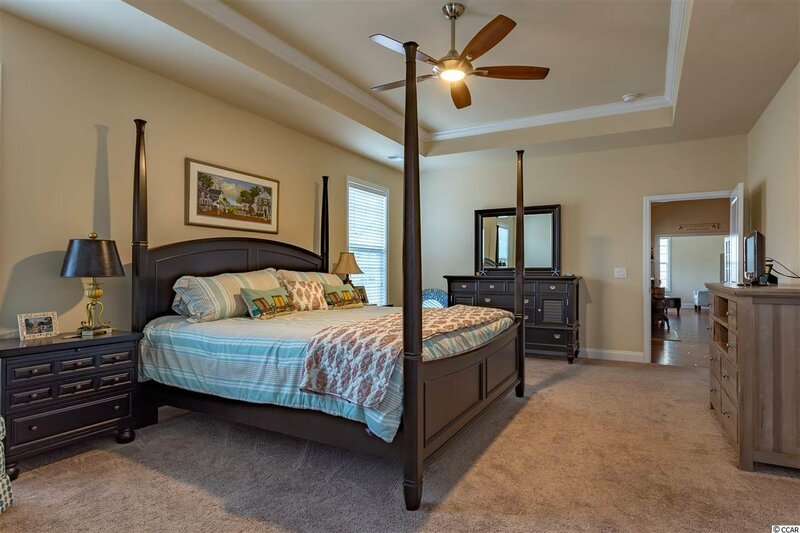 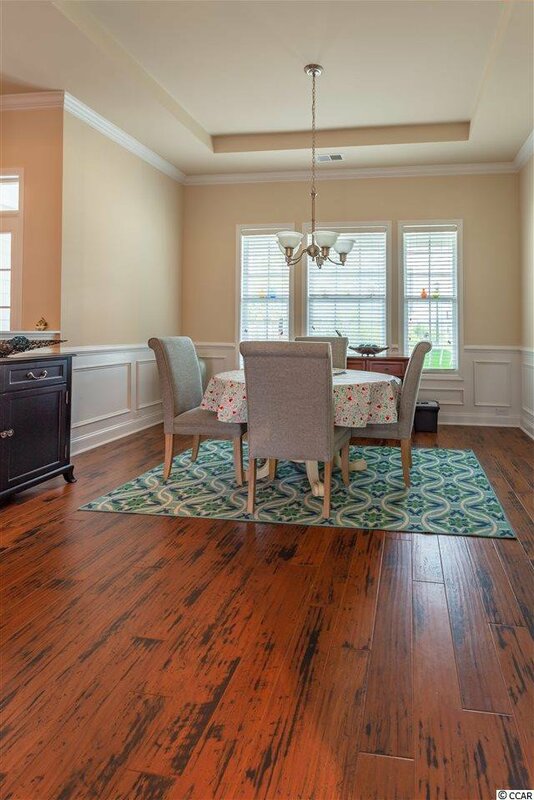 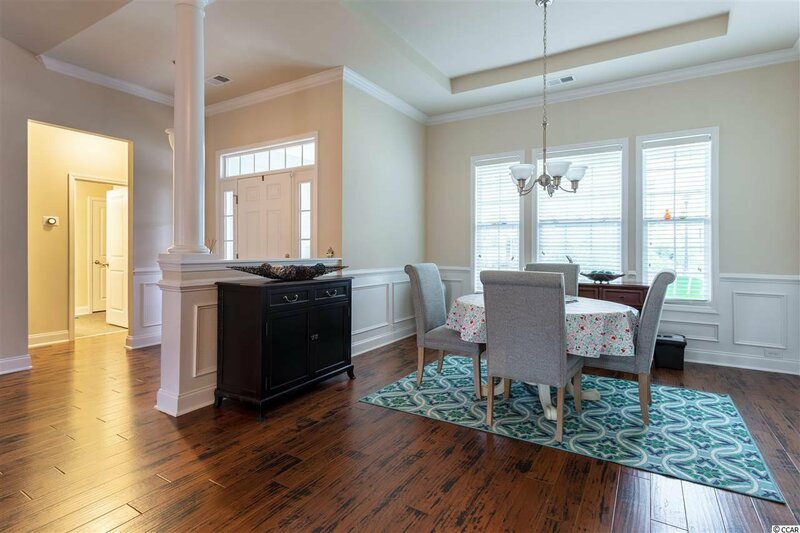 This immaculate home in the desired neighborhood of The Highlands at Withers Preserve in Market Common is absolutely move in ready! 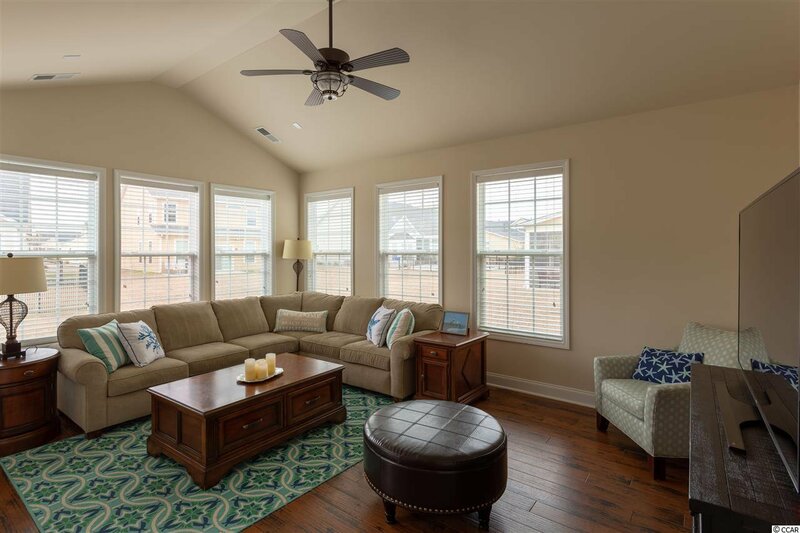 This is the fantastic Stockton floorplan...with the large bonus room! 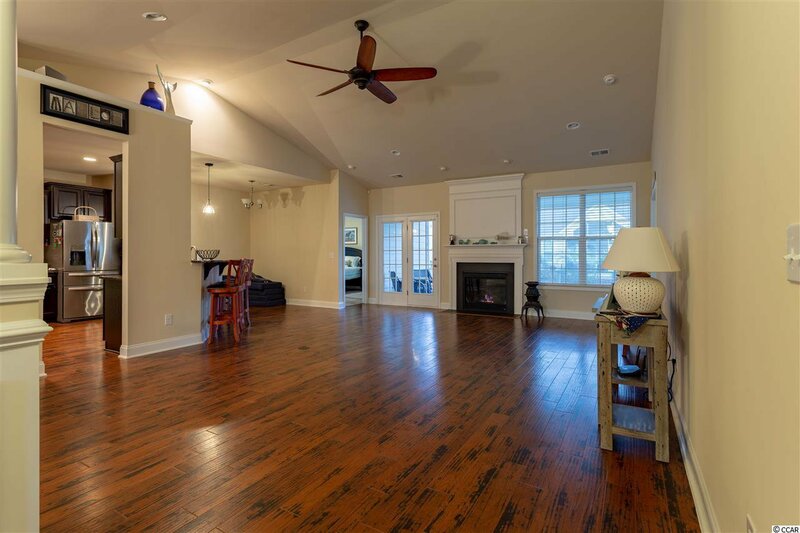 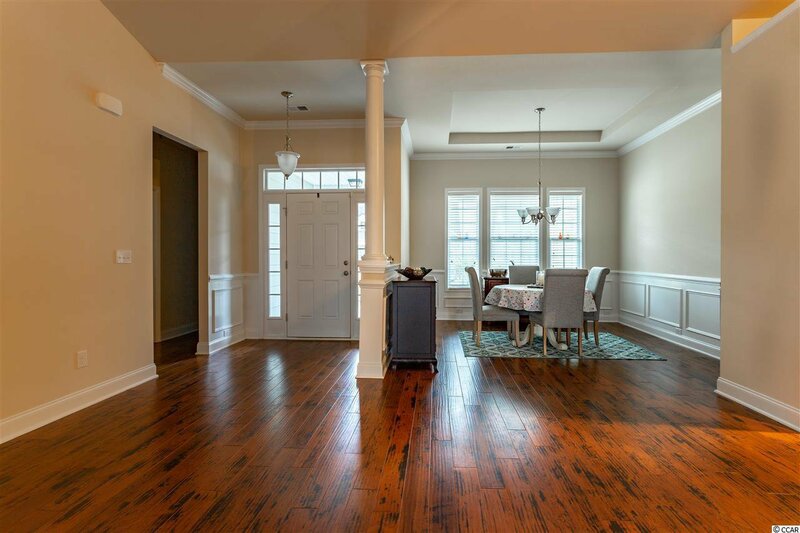 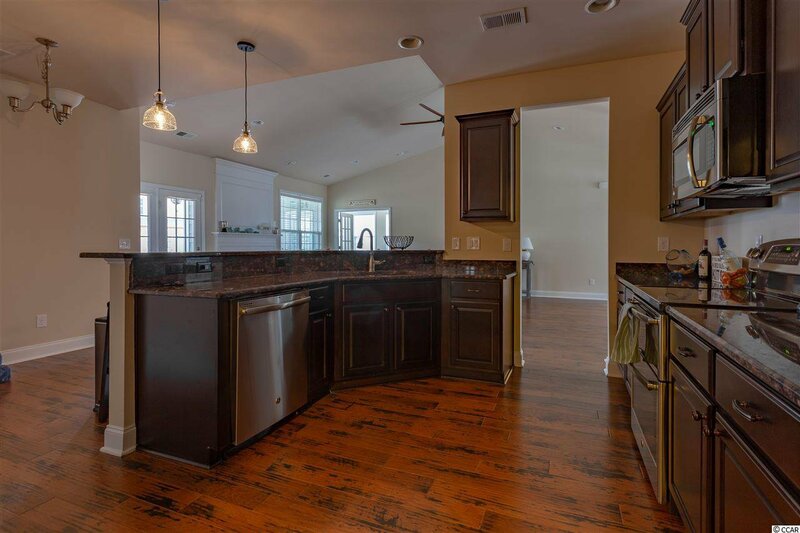 This is a beautiful open floor plan that is perfect for entertaining. 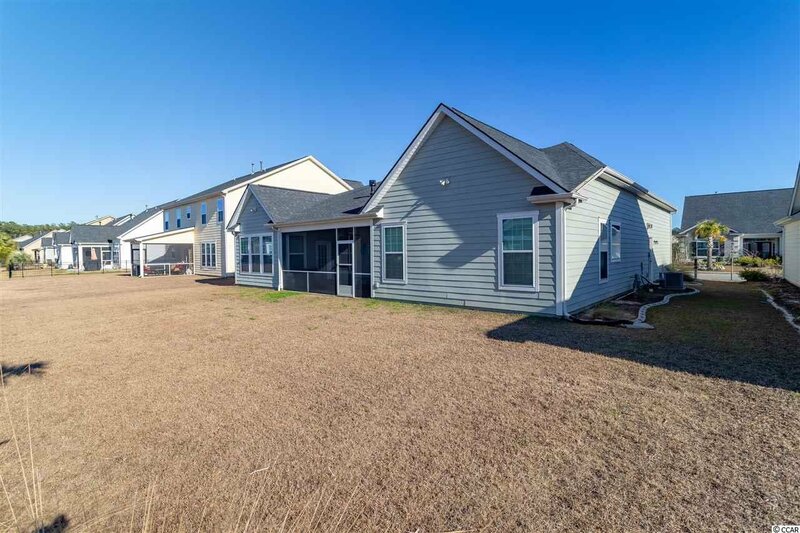 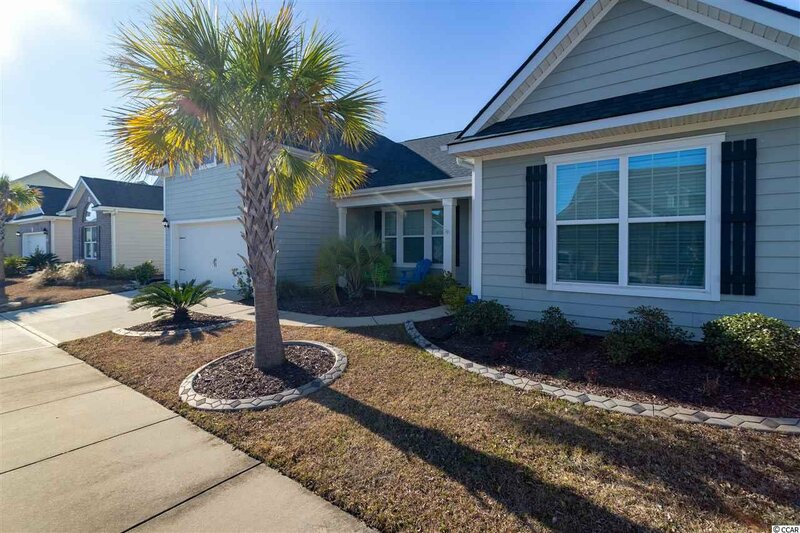 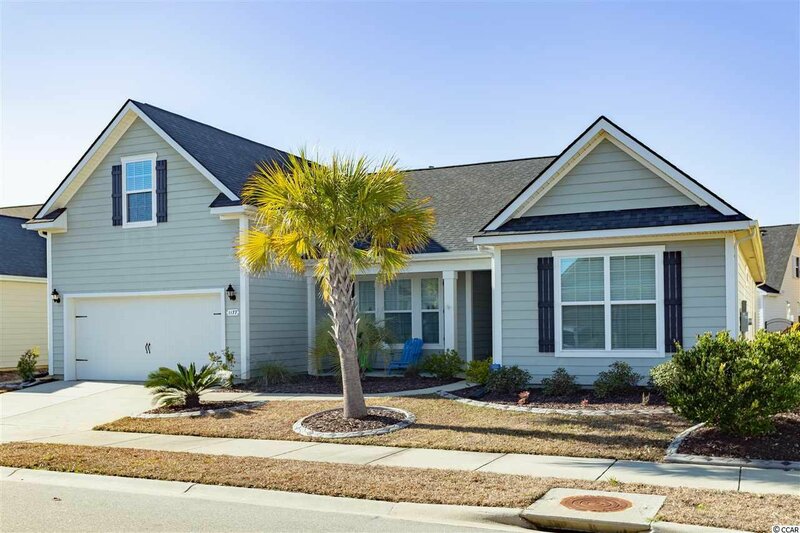 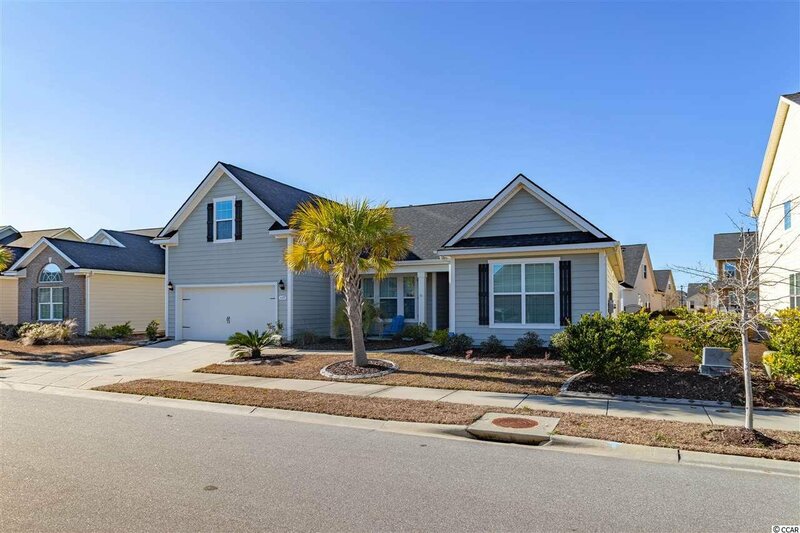 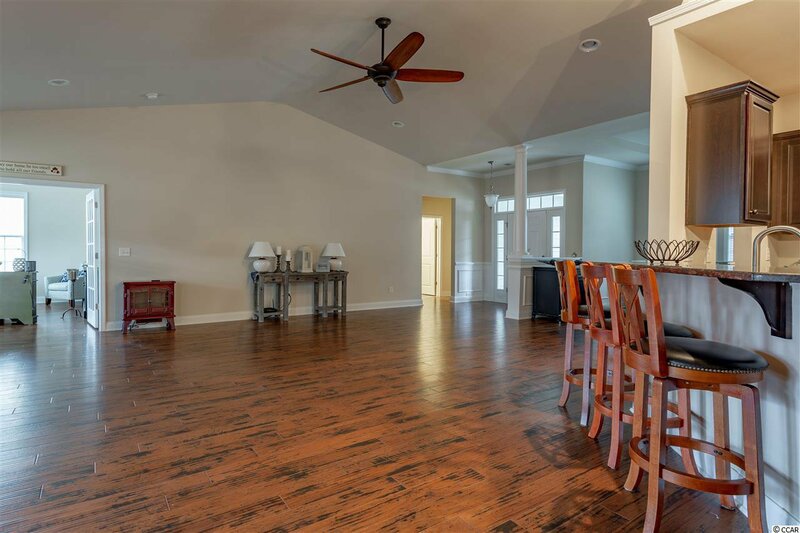 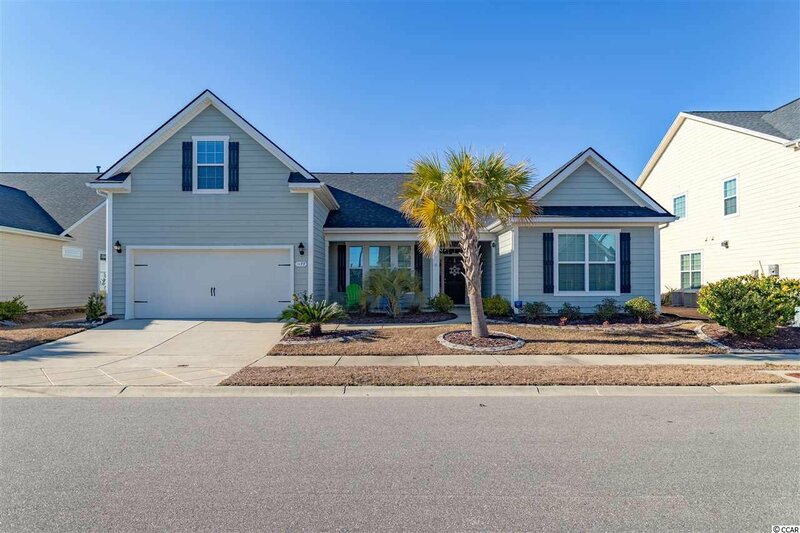 You can sit at the granite countertop bar, in the breakfast nook, in the living room by the fireplace, in the formal dining room, OR in the Carolina Room and be able to be social and see all those other rooms with the open floorplan. 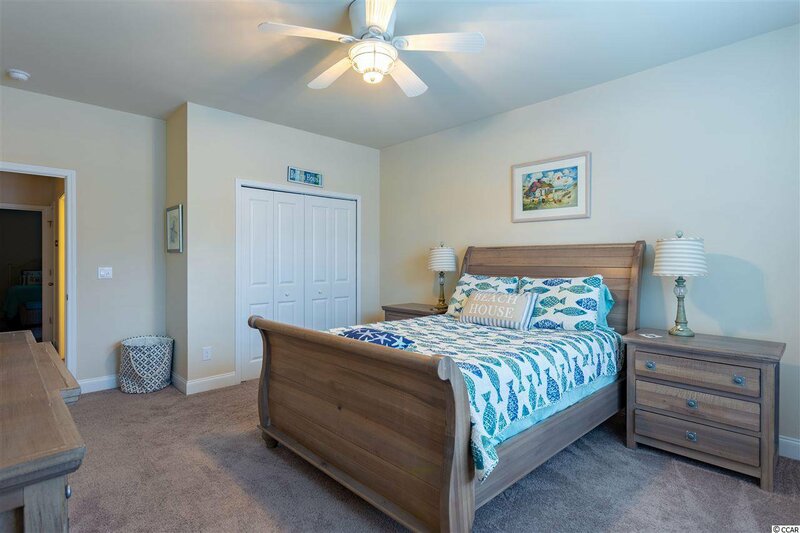 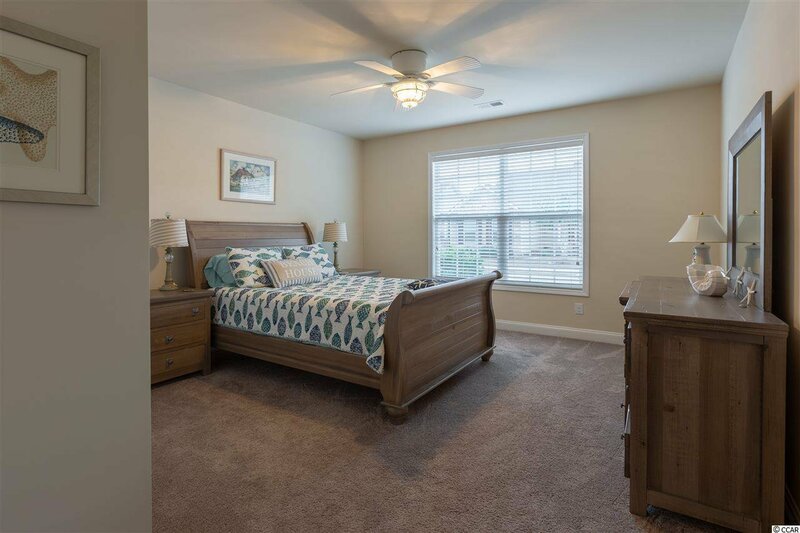 All the bedrooms are on the first level, with all three of the bedrooms being very spacious with many upgrades, including unique ceiling fans in each. 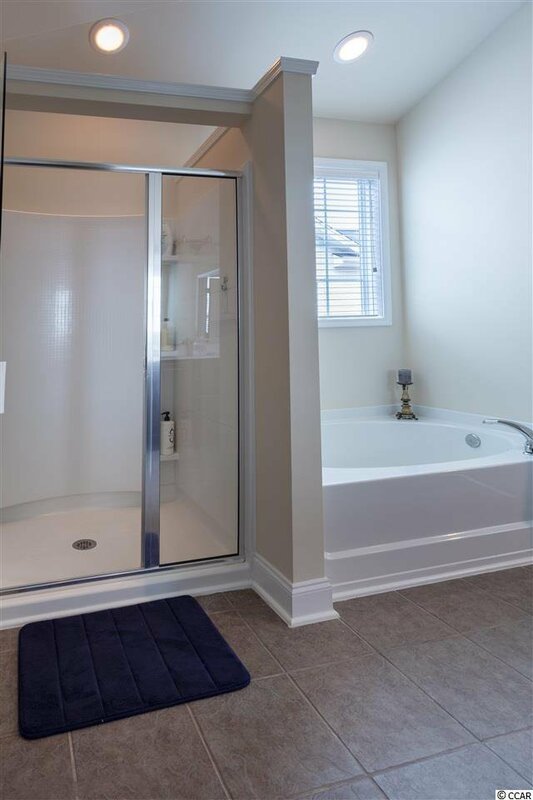 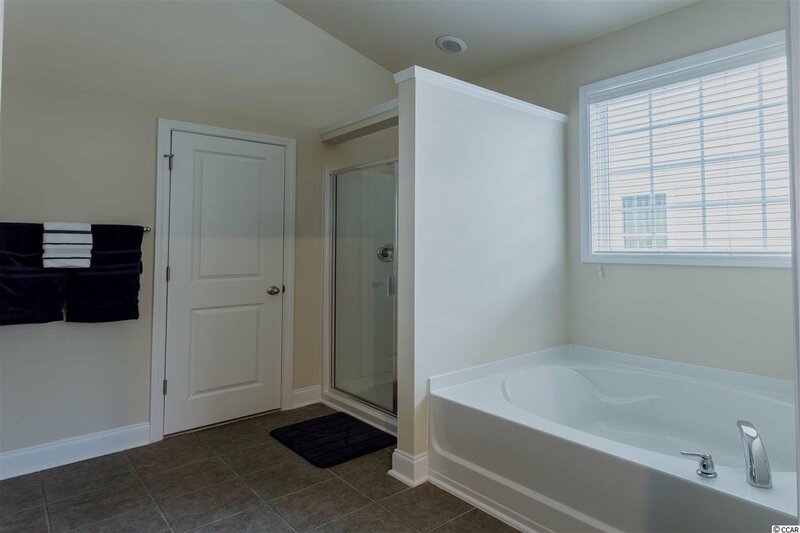 The owners' suite has tray ceilings and double doors that open into the bathroom that features the option of a tub, or shower. 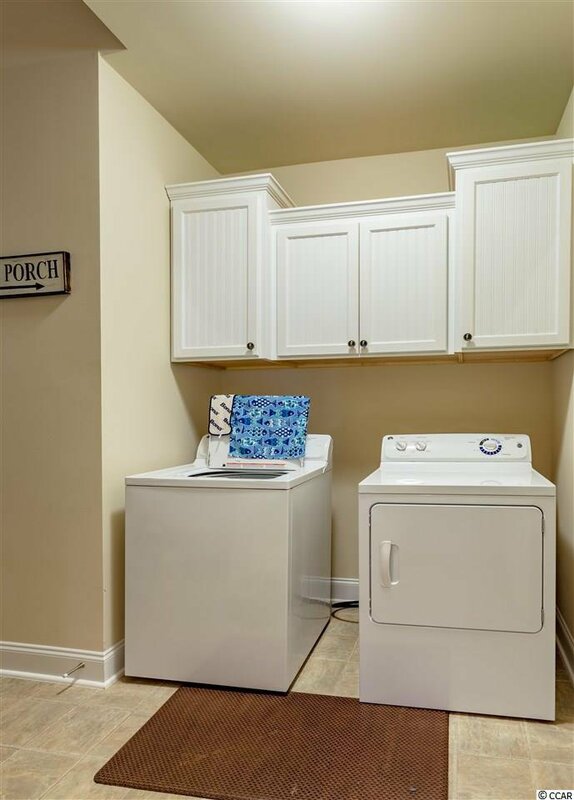 The laundry room has additional cabinets, and the 2 car garage has additional shelving, a utility sink, and a door that opens to the outside. 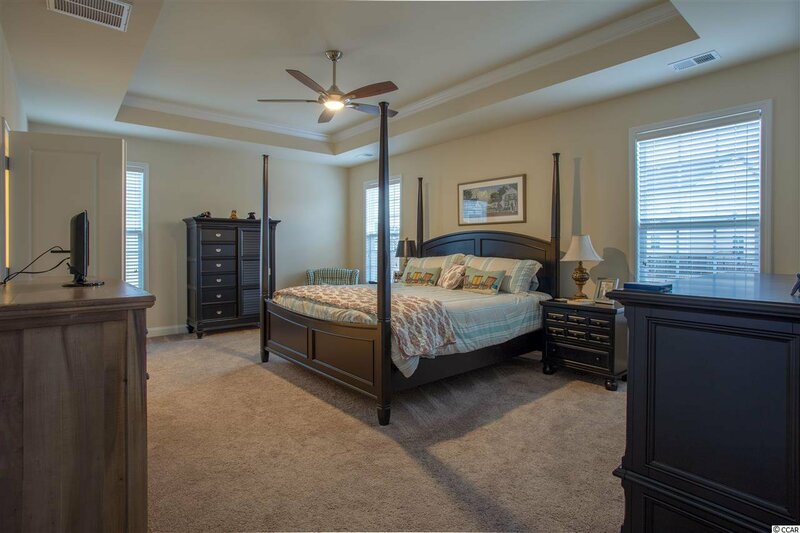 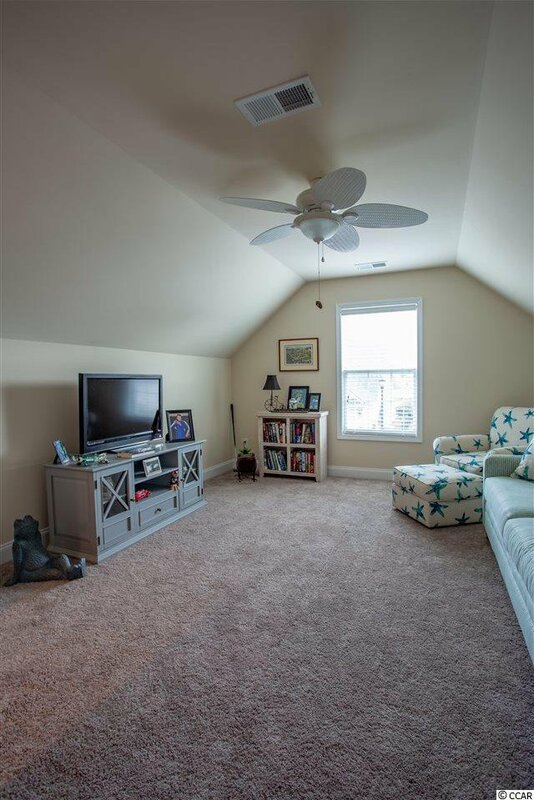 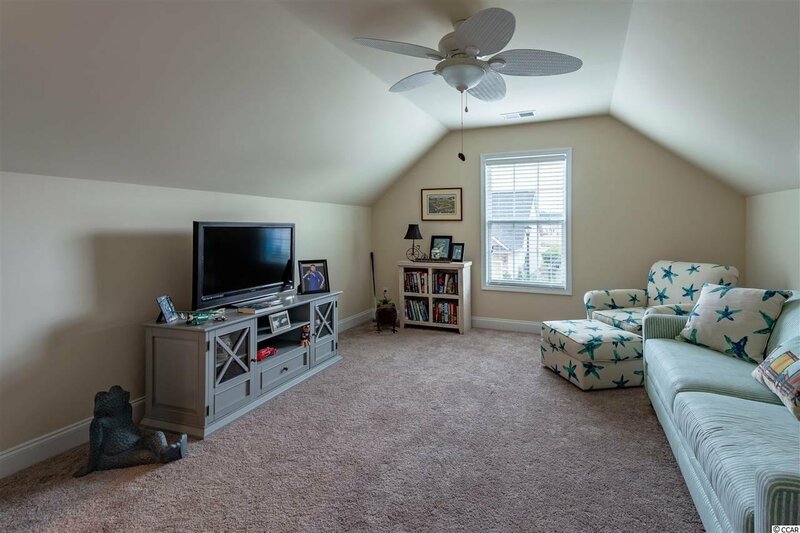 On top of the garage is a bonus room... this home has plenty of storage! 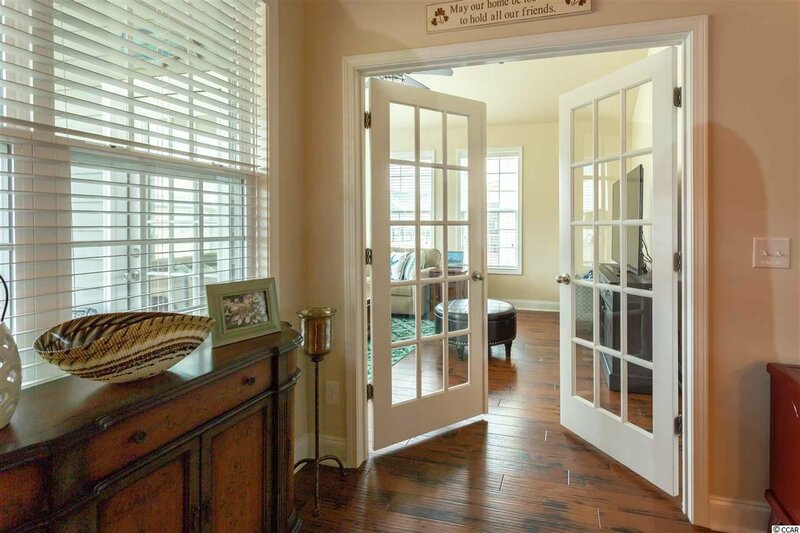 There are French Doors in the living room that open to the spacious Sunroom, which down South is often referred to as a 'Carolina Room'. 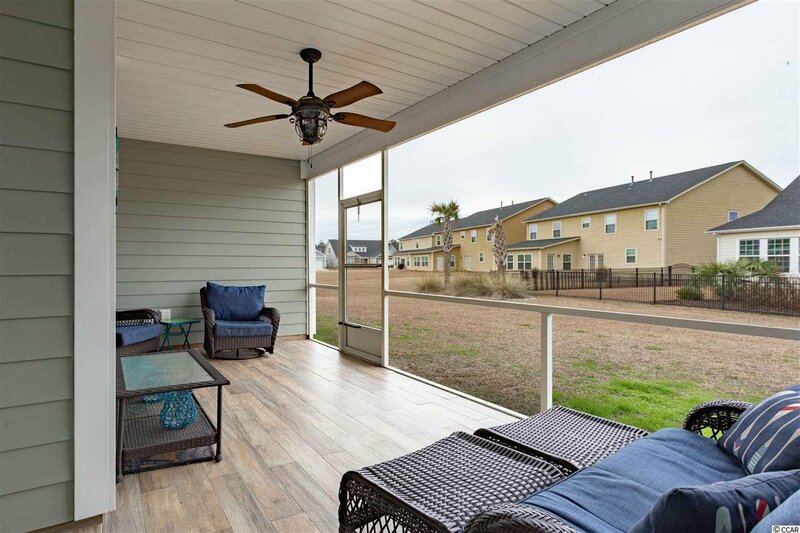 From the lovely Carolina Room, there is a door that leads to the screened back porch. 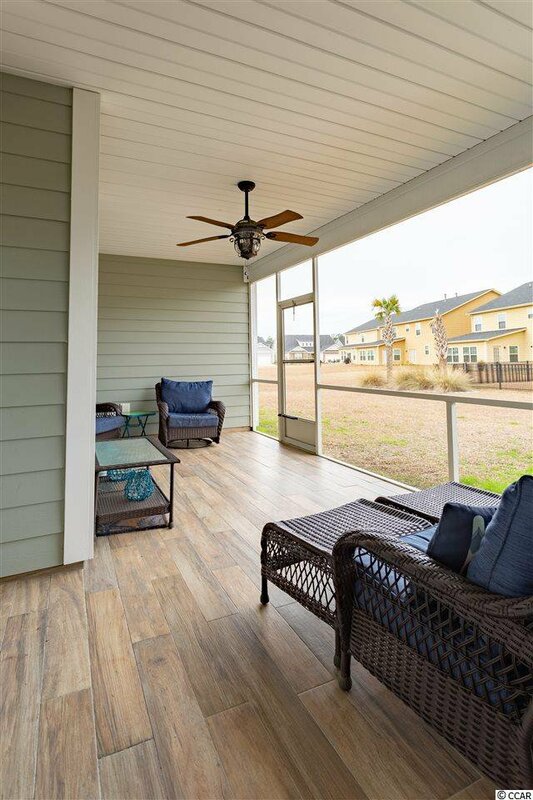 This back porch can also be accessed through the living room, is wired for surround sound, is cable TV ready, and has upgraded tile floors. 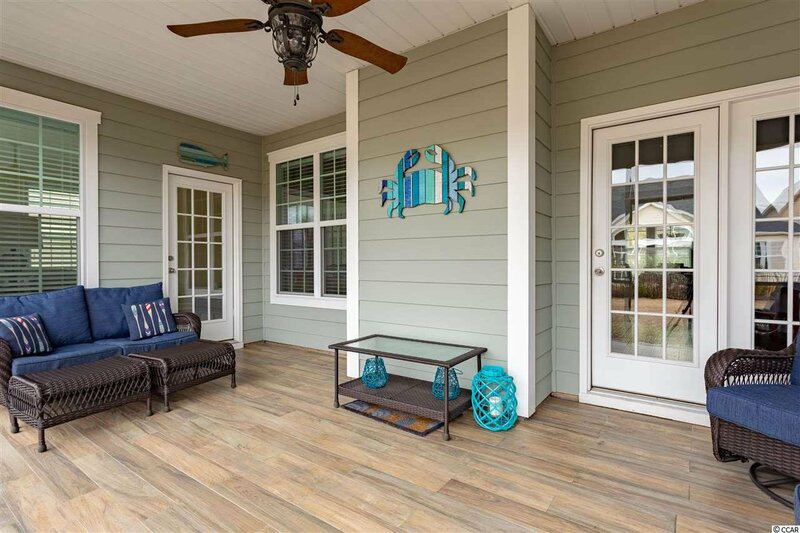 More upgrades of this home include being wired for an intelligent home security system, having an irrigation system with wireless control, and curbscaping outside. 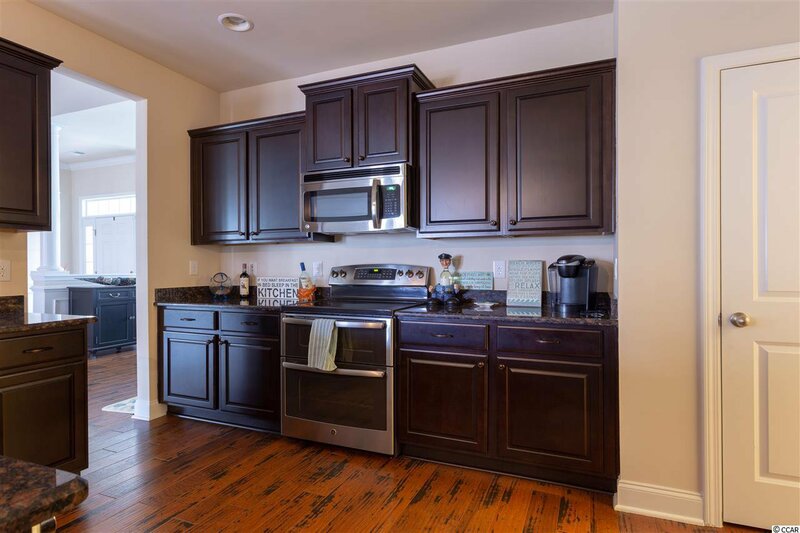 Not only is this home fantastic, but so is the neighborhood, AND the community. 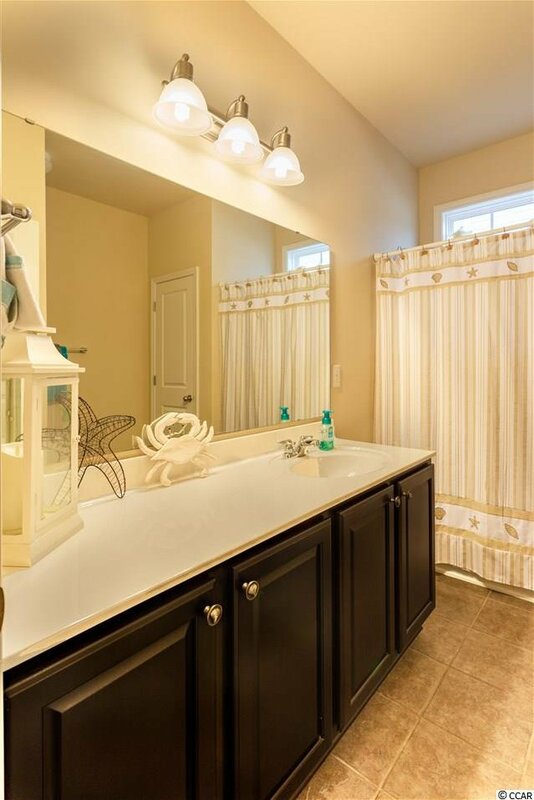 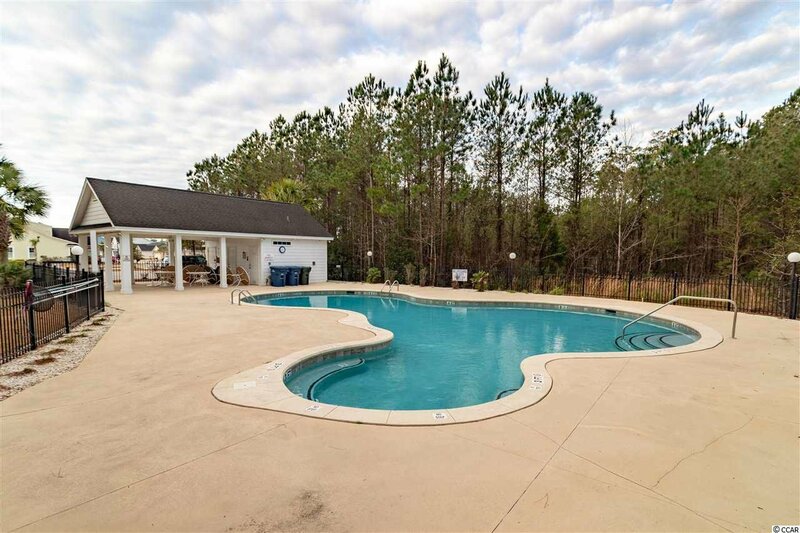 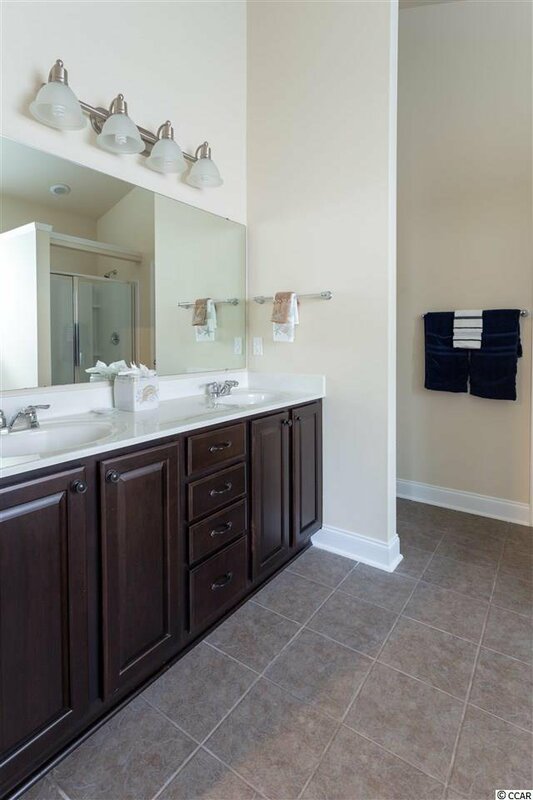 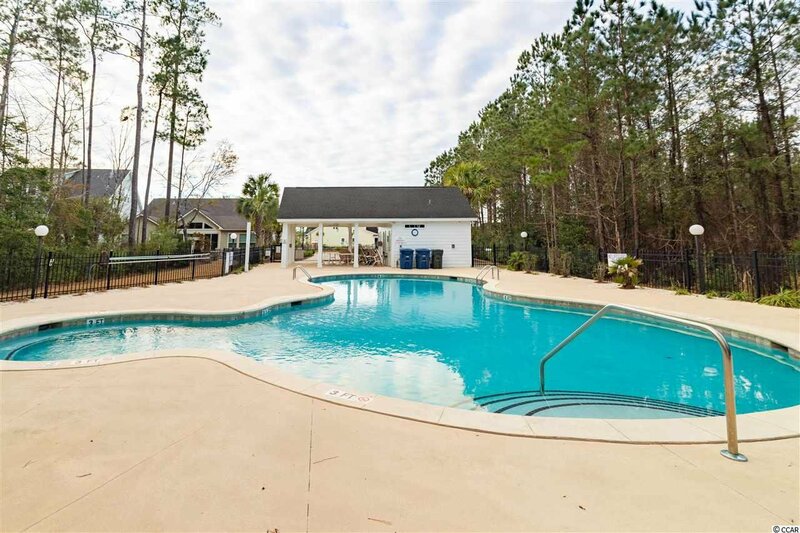 The Highlands at Withers Preserve has a low HOA and their own private, secured pool. 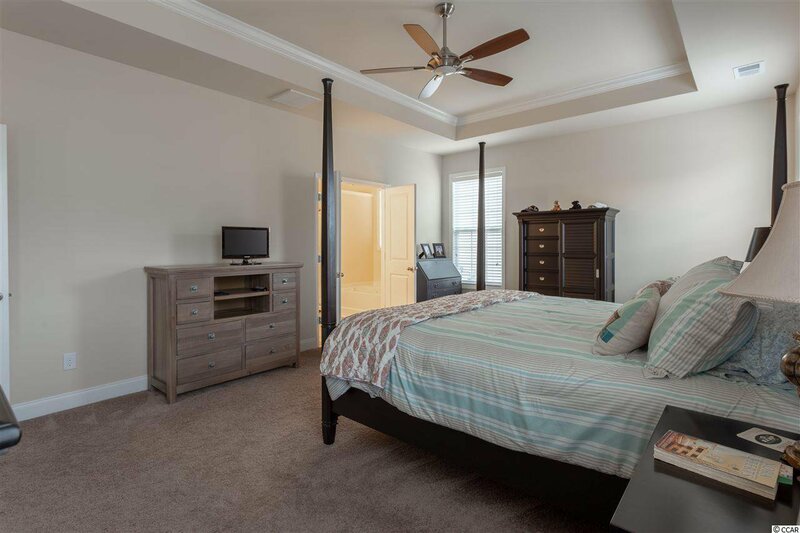 The downtown Market Common with dining, shopping, festivals, activities, entertainment, walking, and biking is one mile away. 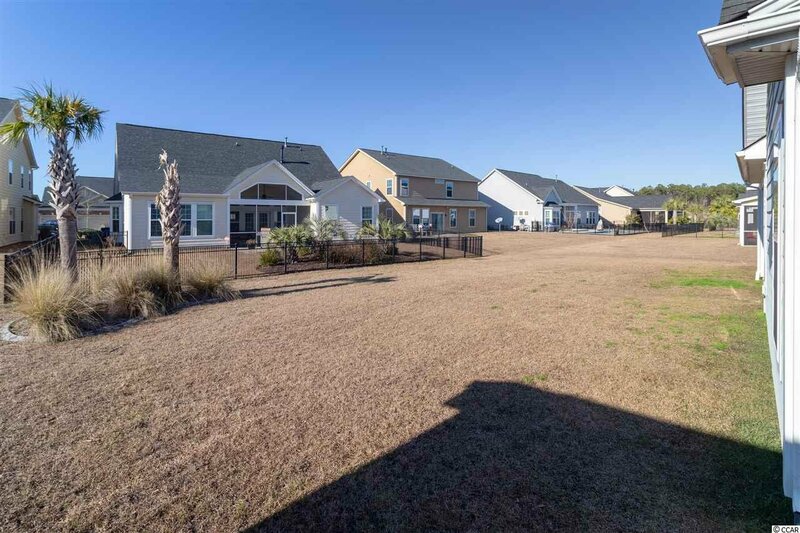 Take your golf cart downtown, to the dog park, State Park, and of course... to the beach! 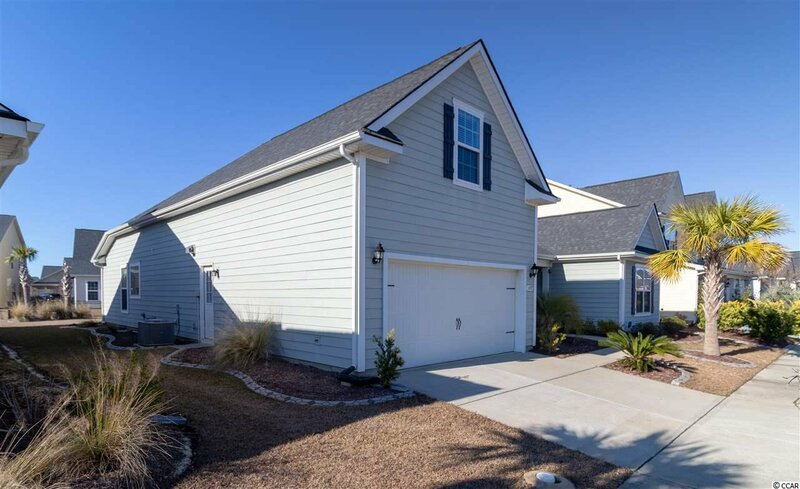 The Myrtle beach International Airport is less than 5 miles away. 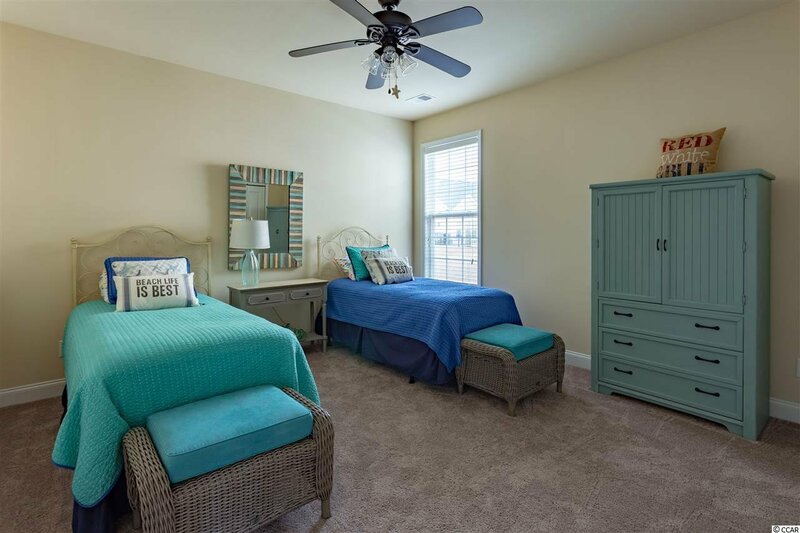 Schedule your showing today and be one step closer to living the lifestyle in the community, neighborhood, and home that you have been waiting for. 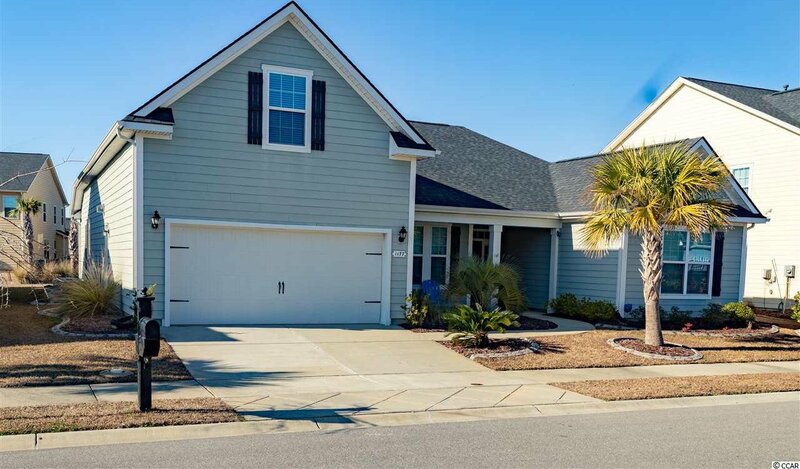 Listing courtesy of Real Living Home Realty Group , Britni Gaddy. 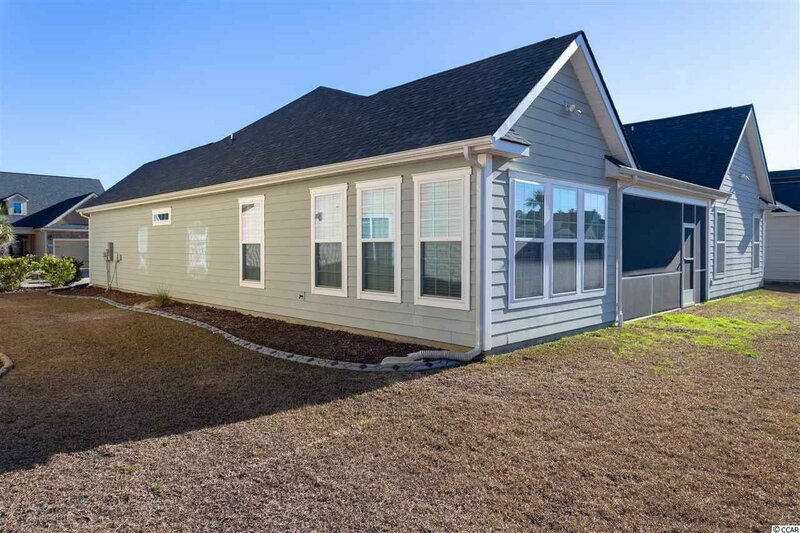 Selling Office: Real Living Home Realty Group , Britni Gaddy.